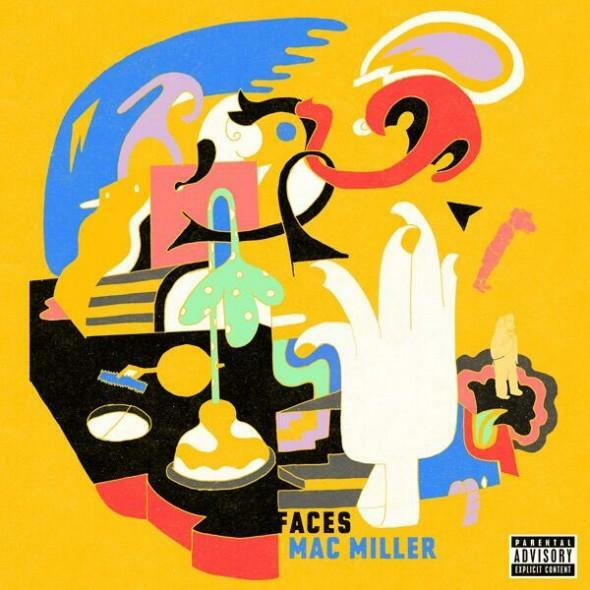 Mac Miller's been hinting at his new mixtape Faces for quite some time, and the 24 track project is finally here. Faces features guest spots from Schoolboy Q, Sir Michael Rocks, Earl Sweatshirt (twice), Rick Ross, Mike Jones, Vince Staples and Da$h. Recently-released track "Diablo" made the cut, but apart from that, Faces is made up of all new songs. At nearly an hour and a half in length, the mixtape is no brief affair, but Mac seems to have put a lot of attention to detail in this one, with a thematically-linked, consecutive series of tracks (from "Happy Birthday" to "Ave Maria") keeping this project away from "outtakes and B-sides" territory. Are y'all feeling this one? Let us know in the comments.